Simpson Heating & Air is proud to serve the Cadiz community! 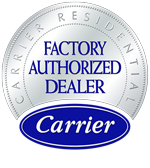 About Cadiz, Oh - Happy to be your hometown Heating & Air Conditioning Contractor! Cadiz is a Harrison County, Ohio village with a population of nearly 3,500 residents. 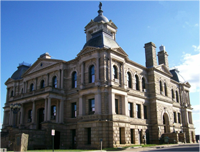 This community also serves as the county seat. Cadiz is well known for being the home of actor Clark Gable, but numerous politicians from the U.S. House of Representatives have also called this village home. This community consists of nearly nine square miles of total area, and it features several locations designated on the National Register of Historic Places. The weather in Cadiz is typical of a humid continental climate zone, and residents often enjoy outdoor activities during the hot and sunny summer months. However, winters are usually cold and quite snowy. The small village of Cadiz is home to a few notable attractions that may interest visitors. The Clark Gable Foundation features a museum about Clark’s life and upbringing, and the community celebrates the late actor’s birthday every February 1st. Nature lovers may prefer a trip to Sally Buffalo Park or Harrison State Forest, while the Faith Ranch is located in nearby Jewett. Other notable attractions in the region include the Underground Railroad Museum in Flushing.